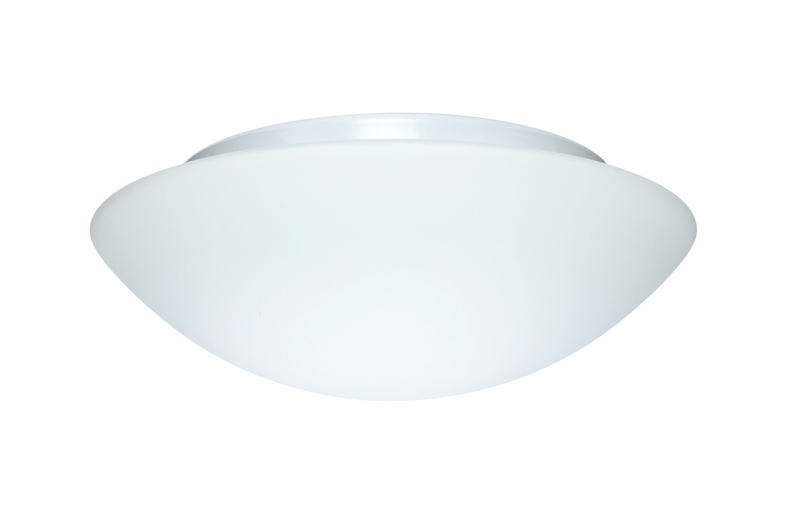 Nova Flush Mount White - White | 13"
Other Size Options White | 10" White | 16"
Contemporary design, round flush mount fixture. For residential or commercial applications. Standard lamping for 10" is 1 x 60W incandescent; for 13" is 2 x 60W incandescent; for 16" is 3 x 60W incandescent. Suitable for dimming, bulbs not included. Installs directly to a 4" octagonal outlet box, centered on fixture. Suitable for damp locations. Interior use only.